Mandatory recycling in San Leandro has been in effect since July 1, 2012 for businesses and institutions with 4 or more cubic yards of garbage service as well as multi-family properties with 5 or more units. Phase 2 of the Mandatory Recycling Ordinance began July 1, 2015 for all businesses and institutions (regardless of garbage service volume). 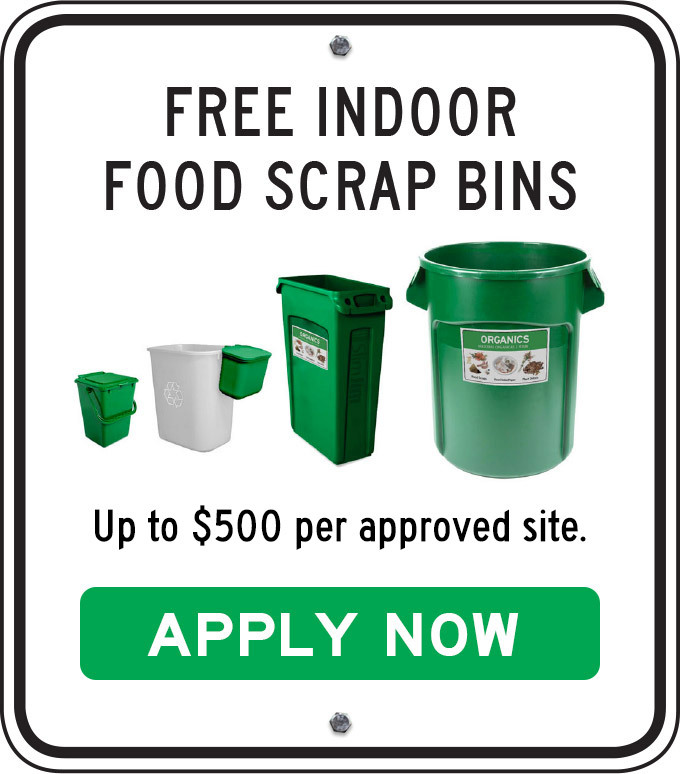 Requirements to collect food scraps and compostable paper separately from garbage are effective as of July 1, 2016 for businesses, institutions, and multi-family properties. San Leandro has two distinct service areas for garbage, recycling and organics (food scraps, food-soiled paper and plant debris) collection service. If you are unsure which service area you are in, check your garbage bill. If the vendor is Alameda County Industries (ACI), you are in the service area of the City of San Leandro. If the vendor is Waste Management of Alameda County, you are in the Oro Loma Sanitary District. Weekly pick-up of one 96-gallon recycling cart and one 96-gallon organics cart is provided at no additional cost to commercial garbage customers by both service providers. Multi-family buildings with two or more units that share service are eligible for bin or cart recycling service. ACI and Waste Management of Alameda County provide free onsite waste and recycling assessments upon request. Below are downloadable support materials specific to the City of San Leandro portion of the city that is serviced by Alameda County Industries. Additional support materials for any community are also available for businesses and institutions and multi-family properties.